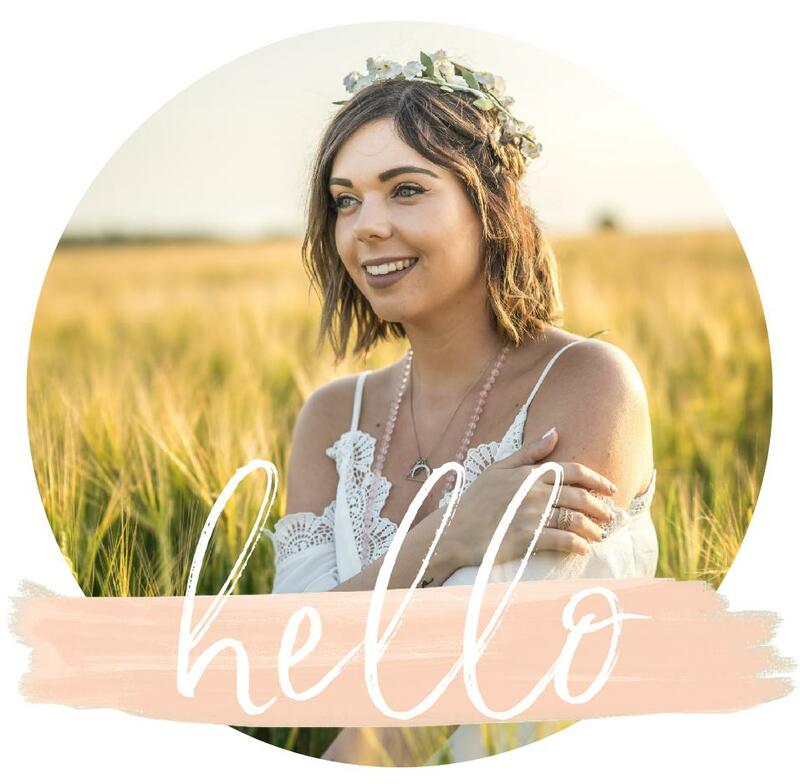 If you’ve followed my blog for a while then you’ll know how excited I get when blogging queen Zoella drops a new beauty range. 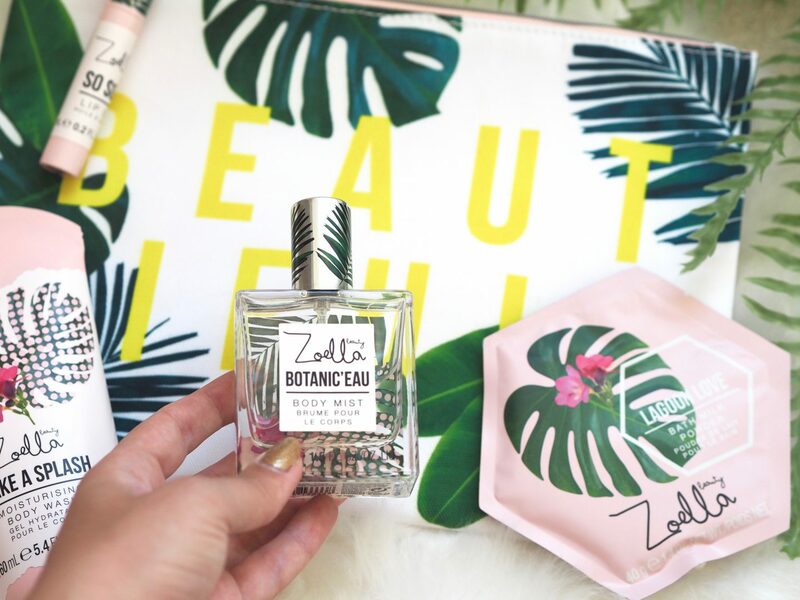 With summer well and truly upon us now, I got all the vibes when Zoe announced her Splash Botanics range. 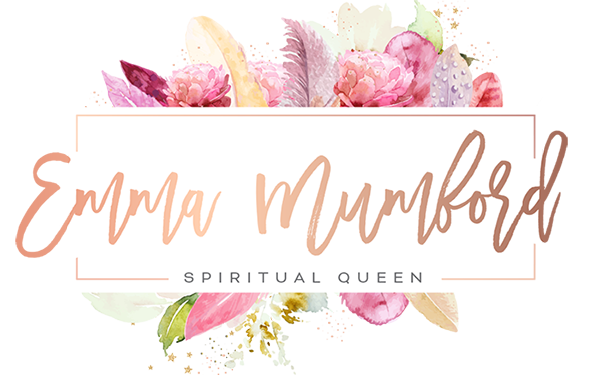 I hopped on to the feelunique website and added all of these gorgeous products to my basket, complete with a freebie and a discount code what could have been better? 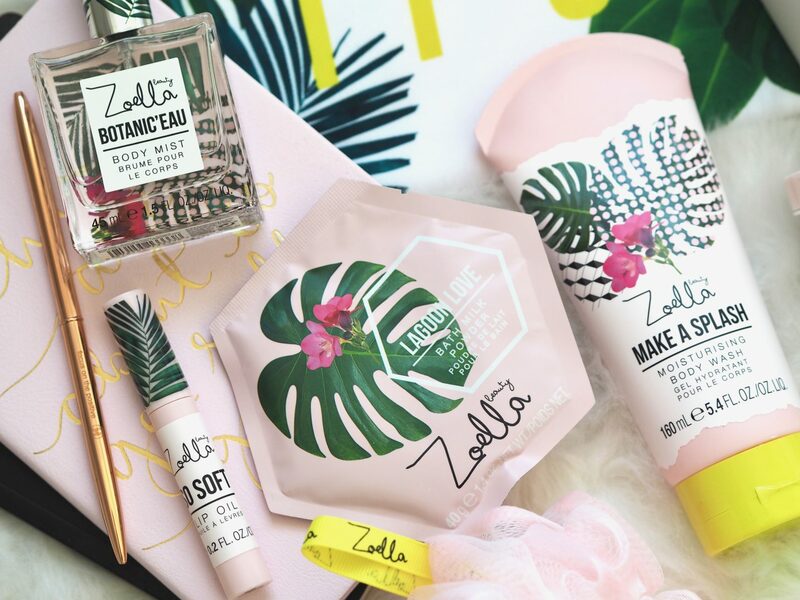 This new fragrance to the Zoella Beauty range is simply all of the summer vibes! This fresh and uplifting fragrance certainly feels more aimed at an older audience rather than her usual teen audience. 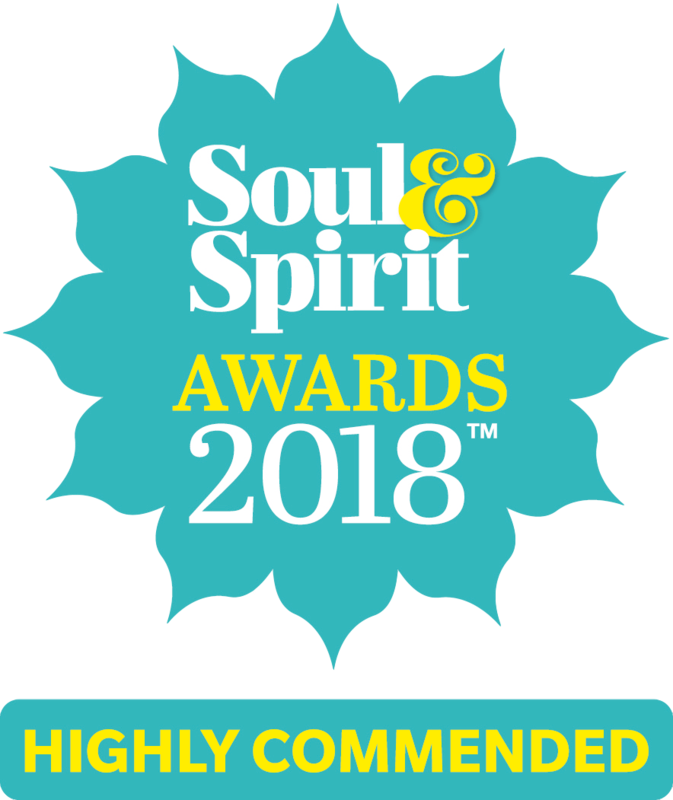 I really vibed with the range and felt the fragrance really suits me and is of course really affordable which really helps! There is a subtle floral and coconut hint in this body mist, but overall it’s a delicious summer fragrance suitable for all age ranges. This large beauty pouch is the perfect size for a weekend getaway. Whether it’s to store your makeup in or you’re new Zoella Splash Botanics products, this makeup bag is the perfect size. I like how big it is as most makeup bags just hardly fit anything in nowadays! I will be sure to use this next time I’m jet-setting around the world travelling. 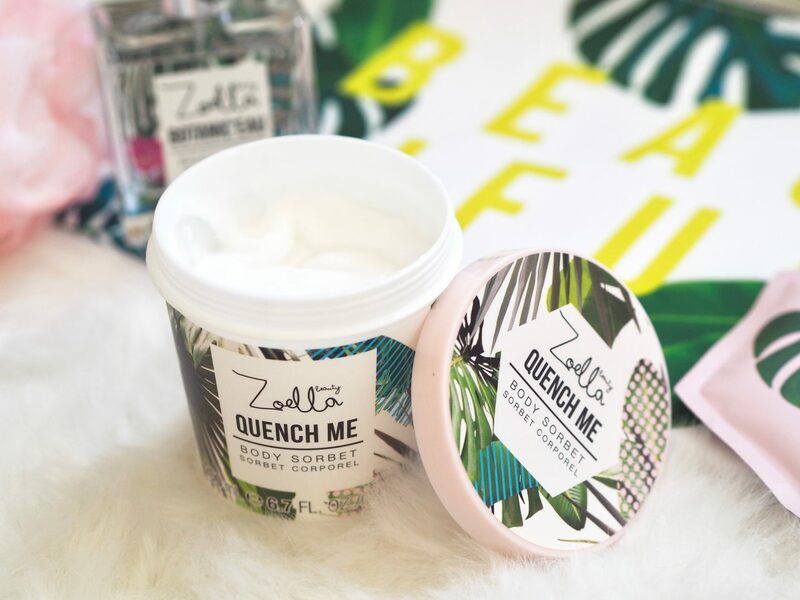 This body sorbet has the same scent as the entire Splash Botanics range, it’s a refreshing coconut water and lychee gel that will leave your skin feeling beautifully soft and scented. I love how cool and refreshing this sorbet is, perfect for those scorching summer days. The sorbet soaked in really easily and left my skin feeling cool, refreshed, hydrated and smelling divine! I’ve never tried a lip oil before so I was really excited to give this one a go. Again this coconut water and lychee fragrance was perfect and left my lips feeling soft and hydrated. I always get dry cracked lips in the summer so this oil has saved my life and really helped to improve the dryness. I love a good body wash, and seeing as I’m already a big fan of this fragrance incorporating this into my shower routine was a delight. Again it left my skin feeling soft, cool and refreshed which was the perfect way to start the day in the summer heat. My skin smelt beautiful all day while I soaked up the sun! I always love a relaxing bath even in the summer, to unwind, relax and center myself again. So adding this refreshing bubble bath into my bath routine along with my favourite bath salts, really made me want to stay in the bath all evening! You don’t need much of this to create lots of gorgeous smelling bubbles which means this great carton design will last you a long time. Finally is the bath milk powder, although this smelt great I didn’t feel it did much in the bath. I much preferred the bubbles from the bubble bath soak. This milk powder would be great if you’re not a bubble fan, but for me personally I didn’t feel this satisfied my bubble bath needs.